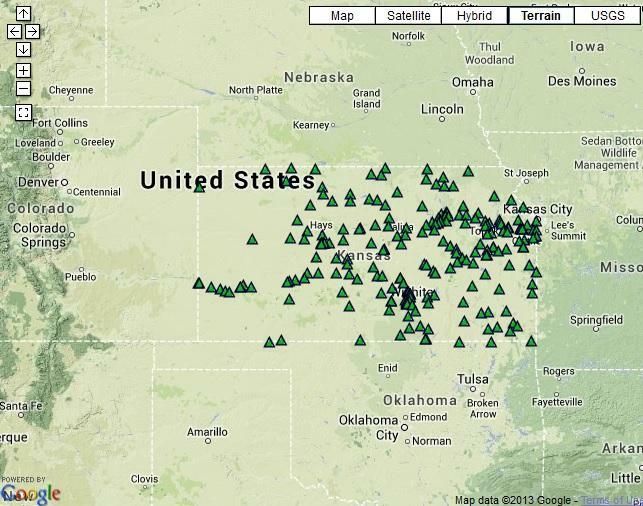 A map showing dry conditions covering essentially all of Kansas. Some areas of Kansas have seen four or more inches of rain in recent days, but that won't be enough to eliminate drought conditions in the state. As Stephen Koranda reports, rain in the coming weeks will play a critical role in determining whether the drought stays or goes. Assistant State Climatologist Mary Knapp says the heavy rain this month is helping. Farm ponds and other surface water bodies are being refilled. And when a new map of drought conditions is issued later this week, she expects improvements across the state. Knapp says Kansas has seen nearly double the amount of rain that's normal for the first part of June. But right now is critical, as June and July are the wettest months in many parts of Kansas. "Having normal to above normal moisture at this time of the year will allow for more rapid improvement. Conversely, if the rains shut off, every day that it doesn’t rain in June can dig that hole much more quickly,” says Knapp. Yesterday afternoon Wichita’s Public Works & Utilities Department gave a presentation on the future of water supply in the area. City Council members were in attendance and ideas concerning both conservation, as well as new sources of water, were discussed. Wichita’s Public Works Director Alan King presented a power point demonstration about what could be done to sure up the city’s water supply until the year 2060. King’s model included five plans that he said take into consideration both effectiveness and the city’s budget. 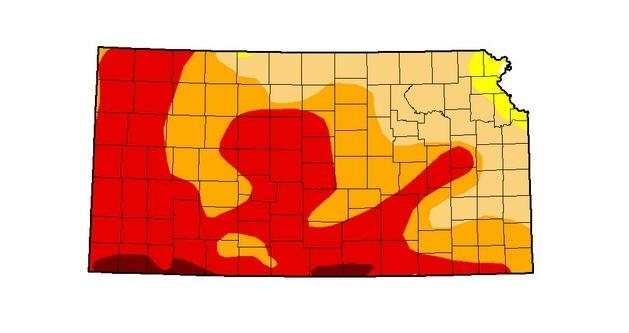 The drought that has been gripping parts of Kansas appears to be easing. Just a few months ago, about 97 percent of Kansas was considered to be experiencing drought conditions. Now, much of central and eastern Kansas is back to normal. That's according to Mary Knapp, with Kansas State University, who called the turnaround "exceptional." “In central and southeastern Kansas we’ve actually gone from drought to deluge. We’ve got a number of locations that have seen incredible amounts of rain in the last three weeks,” Knapp said. The Kansas Water Office is promoting Water Alert, a service that brings instant, customized updates about water conditions to Kansas residents. The U.S. Geological Survey created Water Alert to give people timely information about river, lake and groundwater conditions. It's a nationwide service, but there are over a dozen data collection stations in the Wichita area alone. 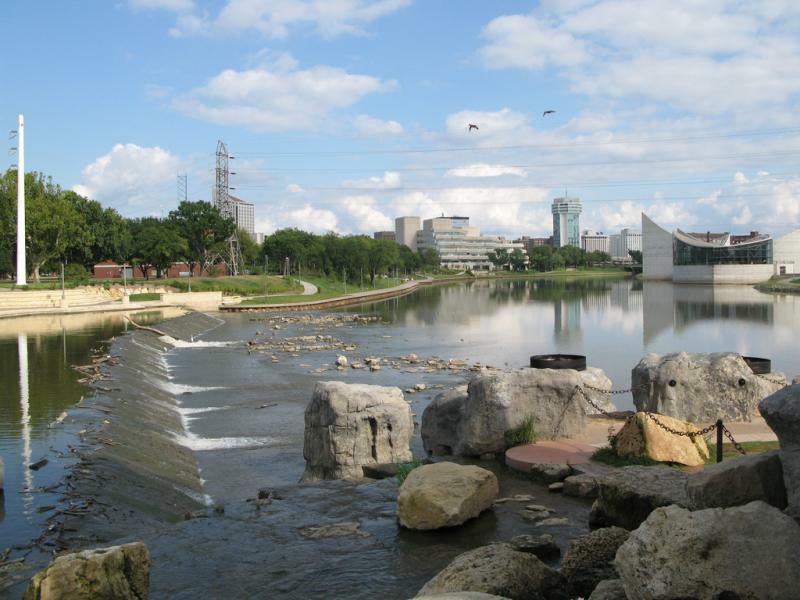 City of Wichita officials announced Friday the drought that threatened the area’s water supply the two past summers and heightened conservation efforts is officially over. In a release Friday, the city reports Cheney Lake, the city’s primary water source, reached full capacity in the early hours of Thursday from 73.6 percent on July 29. Earlier this year, the lake was as low as 58 percent capacity, causing city officials to encourage conservation efforts through a media campaign, a rebate program and other measures aimed at extending the area’s water supply.